Miriam Feuls successfully defended her thesis in order to obtain the academic degree of Doctor of Philosophy (Dr. phil) on Thursday, January 31 at the University of the Arts Berlin. Within her dissertation project “Praktikenbasierte strategische Frühaufklärung: Identifikation innovativer Bereiche zur Weiterentwicklung von Geschäftsmodellen” she developed a method that by taking a practice perspective sensitizes strategic foresight for the interplay between past experiences, present realities and future trajectories (inside and outside the organization) inspiring new opportunities for business modeling. 'Tid til Velfærd?' 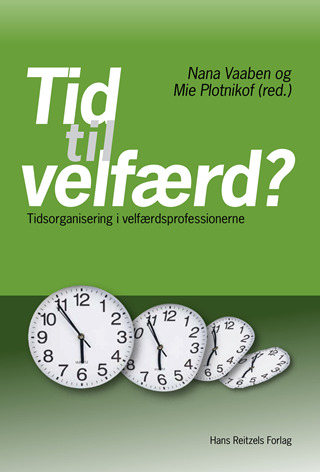 (Edited by Mie Plotnikof and Nana Vaaben, including chapters by CBS researchers Anne Reff Pedersen and Vibeke Scheller) is a new book about time in the welfare professions - ie. how welfare work is organized in time and how it is organized through different structures of time. This book helps to put into words some of the many different temporal understandings and constructions that characterize the organization of welfare work. Each chapter presents a special analytical concept of time and shows how one thereby can spot specific facets of the welfare work's temporality.